This Keto Broccoli and Leek Soup Recipe is a creamy and nutritious meal that you can make in bulk. This Low Carb Soup recipe is one of the healthiest you can make. Loaded with not only fiber and fat it high on the electrolytes sodium and the much-neglected potassium. We set out to make a low carb soup recipe that would be a super energy booster and fatigue beater. Both broccoli and leeks are high in potassium and this is essential for well being. Read about the importance of potassium here. 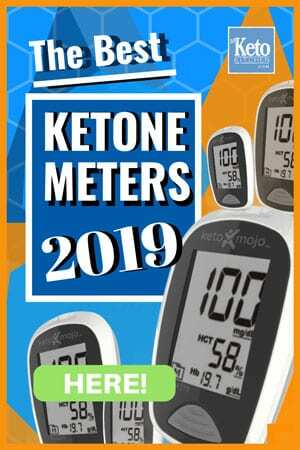 Broccoli, in particular, is a great addition to your ketogenic diet. It’s a low carb vegetable (4.4g net carbs per 100g). Broccoli is a superfood full of nutrients. 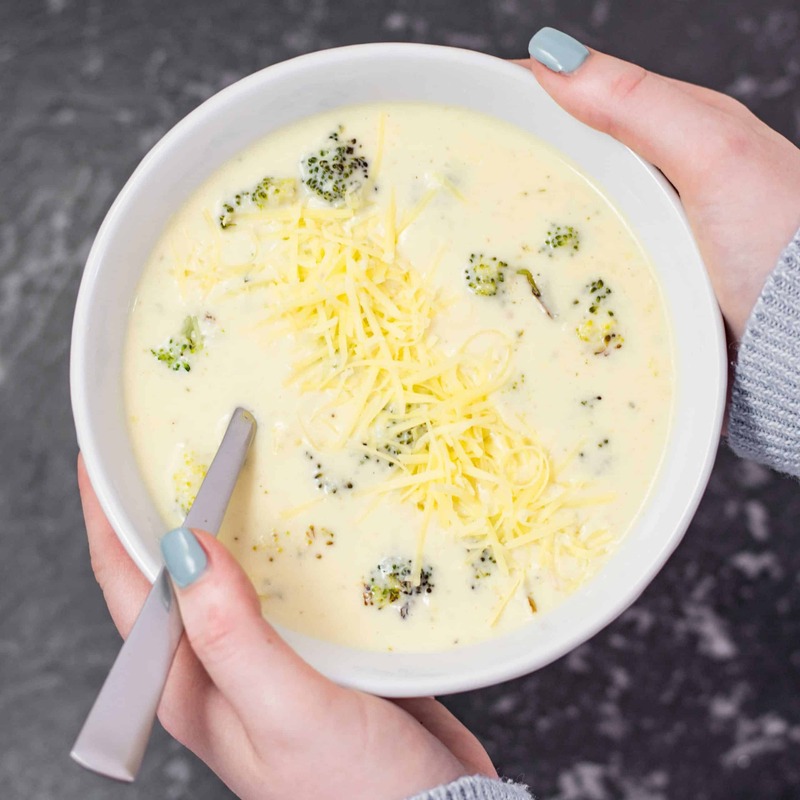 Try our Low Carb Creamy Cauliflower Soup if you enjoy our Low Carb Broccoli and Leek Soup! We prefer to use a stick blender rather than a traditional blender. Pureeing hot soup is much safer, easier and cleaner with a stick blender. Keto Broccoli and Leek Soup Recipe – Easy to make! Roughly chop the white part of the leek and place into a large saucepan, along with the butter and garlic. Saute the leeks over low heat until they are beginning to turn translucent. Add the cream. Cut the broccoli into evenly sized florets and place into the saucepan. Add the chicken stock and stir. Ensure that the broccoli is mostly covered. f you cook the broccoli too quick, it will discolor and turn the soup an off brown color. The broccoli is cooked when it is easy to break up with a spoon. Using a stick blender, carefully blend the soup until no lumps are remaining. Stir in the salt, pepper and parsley. Adjust seasoning to taste. Enjoy! Beware: Putting the lid on a traditional blender filled with hot liquid can cause the lid to explode off. Keto Broccoli & Leek Soup Recipe - "Low Carb & Creamy" - Very EASY to Make! 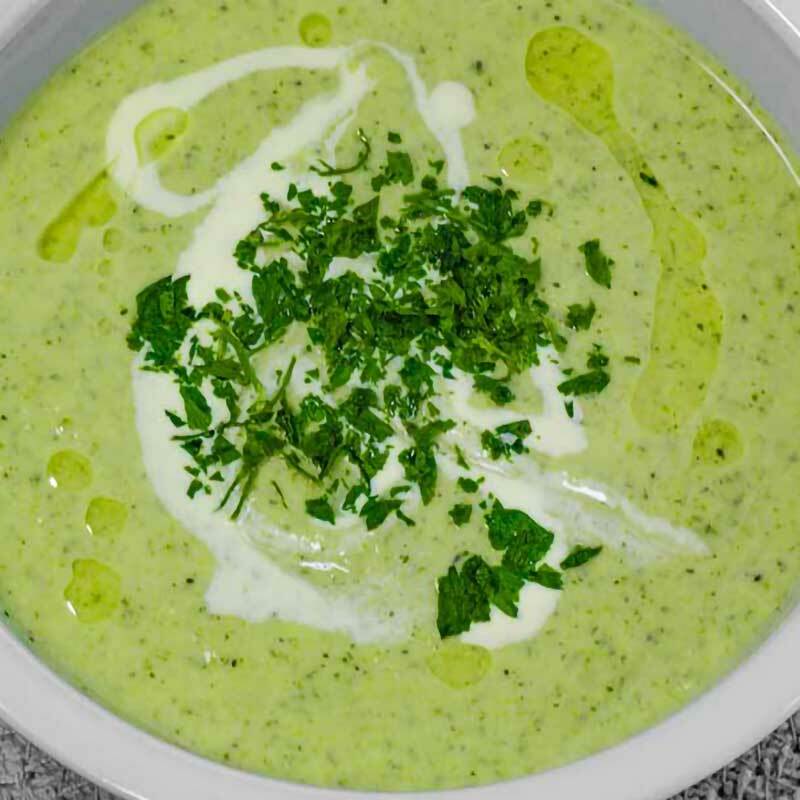 Our Broccoli and Leek Low Carb Soup Recipe is deliciously creamy and full of flavor. But its high in Potassium (plenty of sodium too) high fibre and healthy fats. Simmer on low to medium heat for 8 minutes. If you cook the broccoli too quick, it will discolor and turn the soup an off brown color. The broccoli is cooked when it is easy to break up with a spoon. Stir through the salt, pepper and parsley. Adjust seasoning to taste. Enjoy! By themselves, leeks are not low-carb but when used with high-fat ingredients the carbohydrate content is low and they are very keto friendly. Leeks are loaded with nutrients and our soup contains essential electrolytes and vitamins. 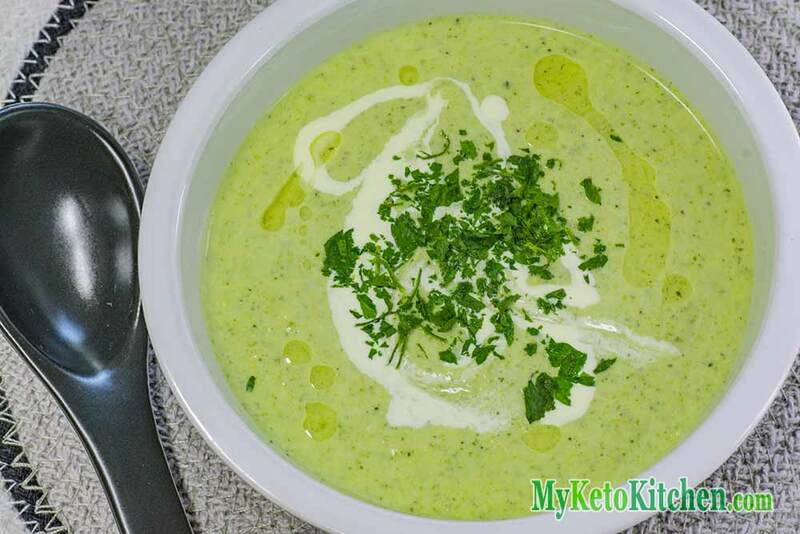 To make more of this Broccoli and Leek Low Carb Soup recipe adjust the servings in the card above.